Recently, my husband and I began looking at listings of houses for sale in the Houma area. We’re excited to prayerfully buy our first home at the end of this year and can become quickly overwhelmed by everything that goes into purchasing a home So what do we do to keep the excitement going? We set up our search parameters and browse what’s available in our area! But what happens when we click on a house that seems interesting but realize there are few to no pictures of the house available or that the images provided are poor in quality? We quickly hit the back button and move on to the next house for sale. 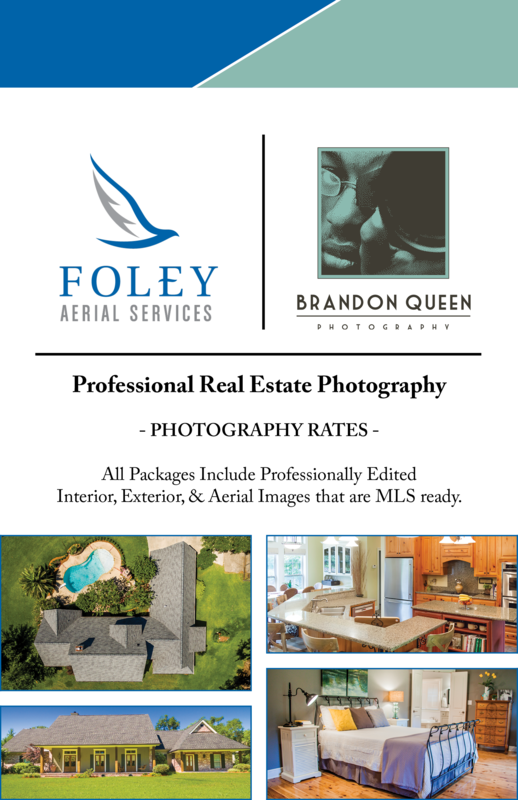 If you’re serious about selling real estate, and if you want to sell quickly, I urge you to consider Brandon Queen Photography and Foley Aerial Services to provide you with professional real estate photography that will get clients to the door quickly and help you to sell fast! As of May 2017, these two companies have partnered together to help meet your real estate photography needs from the air to the ground and from the windows to the walls. This dynamic connection was made possible when Brandon Queen was introduced to Tate Foley by Brandon Chiasson. Both men were interested in expanding their companies’ services to include real estate photography. Foley Aerial Service is a leading provider of top quality aerial data and photography using unmanned aerial vehicles. The main goal of Foley Aerial Services is to satisfy their clients’ every need by offering a more efficient, safer, and cost efficient method of capturing aerial photography. I’d encourage you to check out their website www.foleyaerialservices.com to learn more about the company, its services, and why drones. Using a drone, Foley Aerial Services captures the aerial photography of your real estate, while Brandon Queen Photography captures all imagines from the ground, including interior photography. After your real estate has had its glamour shots taken, Brandon Queen Photography edits and prepares them to wow your potential buyers. 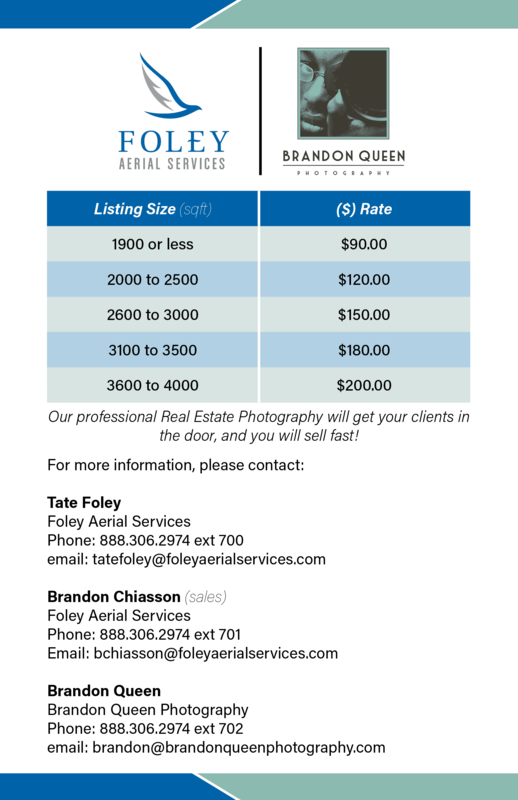 Be sure to check the price listings below if you’re interested in professional real estate photography! Don’t let eager buyers pass over your real estate jewel simply because you were missing quality photography that shows off your home in the best light possible!